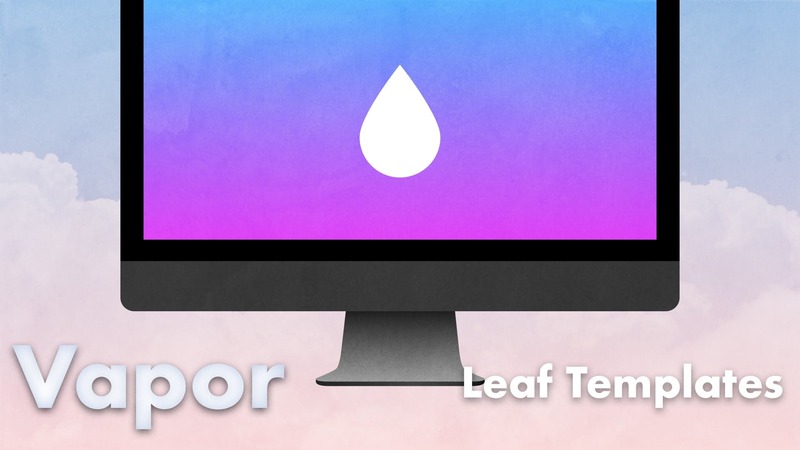 Leaf is Vapor's component for rendering dynamic templates. Rather than writing HTML strings by hand in our router, we can write leaf templates that allow us to mix HTML with code. Since Leaf is a separate package, we will show how to integrate this into your project from scratch, to get an overview of how dependencies are assembled in a Vapor project. This episode is part of a series: Server-side Swift with Vapor. This project comes with some stuff we don't need (yet). Let's delete it so we can focus just on Leaf templates. In Package.swift, remove the package line for fluent-sqlite as well as the dependency FluentSQLite in the targets section. We'll also delete the Controllers and Models folder. In the configure.swift, delete all of the lines that mention databases, migrations, or Fluent. We'll cover this later. Now build and ensure there are no errors. The version number here matters, and you should choose the latest version that is compatible with your version of Vapor. Let's go to our routes file and add a route that renders a view. This will look for Resources/Views/hello.leaf, so we'll need to create those directories and then create an empty file called hello.leaf. If we build and run this we can visit http://localhost:8080/hello in our browser to see our new template being rendered! Let's create a new route that accepts a username, like hello/ben. We'll pass this data to the view with some structured data. The context we'll pass to the view can be anything that conforms to Codable. What is a future? Don't worry about this for now, we will dig into this in detail in a future episode. Note that the context object we passed is directly accessible to the template. The local members of the object become variables that we can access in the template. We'll look at this in more depth later in this series. Make sure to re-build and run the server to pick up the route changes we made. Then navigate to http://localhost:8080/hello/ben and see your dynamic data!